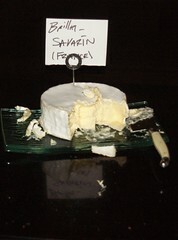 It’s been a while, but we are planning more 2011 cheese events. While we’re penciling in the schedule, Lassa from Oxbow Cheese Merchant is hosting a steal of a cheese tasting deal. Details are below. WHAT (#2): An informal, walk-around gathering of top French and Northern CA cheesemakers with their handiwork, washed down with Napa wines.Taste an incredible assortment of cheeses and talk to the cheese producers directly. Also, meet the people behind culture magazine, Oxbow Cheese Merchant, the French Cheese Club, Mahoney Vineyards & Waterstone Winery, and Tony’s Fine Foods. COST: $50, which includes cheese and wine. Advanced purchase is required. For tickets, go to culturecheesemag.com/subscribe. Terroir Exchange tickets are the first thing on the list. A donation to the CA Artisan Cheese Guild will be made from the proceeds of this event. OKAY I WANT TO GO NOW WHAT? Call Thalassa and let her know you’re a Cheesewhizzes member to reserve your spot. Thanks for your patience, Cheesewhizzes, as I learn to integrate my love of cheese with a new baby. Wanted to give big thanks to Rubicon Estate for hosting the most recent Cheesewhizzes event, “Tales of the Traveling Cheesewhizzes.” More info on how we put it all together in the next newsletter. Did you attend? Share your pictures by posting to Flickr and adding the tag “Cheesewhizzes” or by posting to the event wall on Facebook. Get. Out. Of. My. Kitchen. you, there who keeps stirring the cranberry sauce. Here, I have something for you, I have some Thanksgiving cheese. I have a big platter of it. Now take this out to the living room. You mean you haven’t started planning your Thanksgiving cheese yet? A well-curated cheese plate is a great way to keep turkey pickers and kitchen grazers from munching their way through your kitchen. Here are three of our can’t lose favorites for your Thanksgiving munchers. These are all made in the USA. These are all grandparent approved. These all pair well with the relaxed pickery of the day. 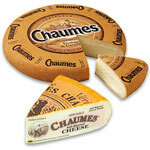 Chaumes is a staple of in-home cheese plates all over the Napa Valley. It’s mild, yes, but also flavorful, a favorite with kids and amazing in macaroni and cheese. Franklin Teleme is the cheese we go mad for. Seriously, it has Cheesewhizzes everywhere bumping elbows with each other on their way to the platter. It’s runny, it’s fancy, it’s local and quite frankly, it tastes damn good. We had this cheese at the Cheesewhizzes tasting at the Broad Summit in October and let’s just say, the ladies were blown away. There’s a reason this cheese won best American cheese. It’s neither too stinky nor too pungent, a fabulous cheese to please even non-blue cheese lovers. We’re hosting a down and dirty Cheesewhizzes tasting next Saturday, November 14th at Natalie’s house. Just bring your favorite cheese and favorite pairing beverage and go to town. Well, don’t go to town, we’d love to have you stay at the party. Not like you haven’t noticed, but our site is under construction. Thanks for your patience while we get it up to snuff for the big reveal. If you’re local, we’d like to direct you to an event at the St. Helena Library. They’re doing an event on pairing cheese with beer, an area in which we can claim a little experience. 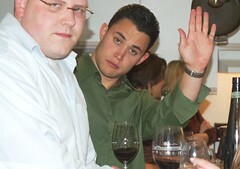 That’s right, we said beer, not wine! Join brewing expert and author of the book Grape vs. Grain, Charlie Bamforth, as he discusses the art and science of making and drinking good beer. With help from Santa Rosa cheesemaker Seana Doughty, Bamforth will pair five beers, including three local brews, with five fabulous cheeses. Come learn how enjoying a good glass of beer can be as enjoyable as drinking wine. Books will be available for purchase and signing. The next Cheesewhizzes event is Masters of Gouda at the glorious St. Clement winery in St. Helena. 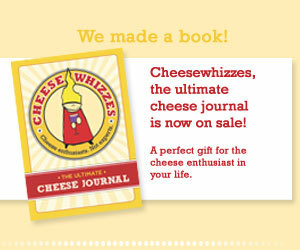 Bring your favorite Gouda, red wine and $5 to enjoy the last Cheesewhizzes event of 2009. Beer and the cheese that loves it. Join us at 6:30pm sharp for an exclusive beer tasting led by our own James Hearn and Paul Asikainen. This Cheesewhizzes will be at Natalie and Paul’s house, 930 Mariposa in St. Helena, California. Next Saturday, June 27th, we’re hosting another Napa Valley Cheesewhizzes. Location: Join our mailing list to find out! Try to stump us with your rare and unusual Italian cheese and wine to pair. Get out your calendars, we’ve scheduled the rest of the Cheesewhizzes events for 2009. More details to come via the email newsletter.